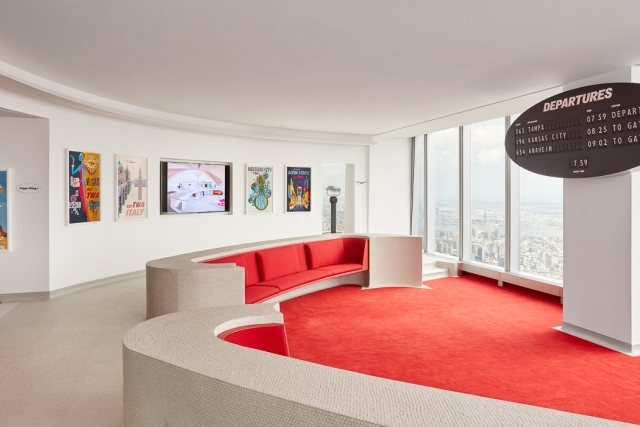 Inspired by the TWA Flight Center at JFK airport, the TWA Lounge is located on the 86th floor of One World Trade Center in New York. Eero Saarinen designed custom penny tile, rising from the floor to cover a sunken seating area with panoramic views of Manhattan and beyond. Design and Direct Source was able to replicate this iconic tile from the 1962 design.